There are many things to consider when choosing a stove for your home, so before you make your purchase, we recommend that you visit one of our showrooms where we will be able to guide you in the right direction. If you are currently researching what may be a suitable stove for your home, there are many aspects to consider before purchasing the right one. 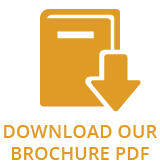 From the role of the appliance in your home to the type of fuel you select, the brief outline below should provide some useful guidance on the important areas you may wish to consider before purchasing your stove. 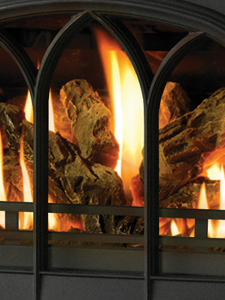 Whether you want to burn solid fuels such as logs, smokeless fuels or peat/turf briquettes, or have the ‘switch on’ convenience of gas or electricity, we offer a wide range of expertly crafted designs from contemporary to traditional, giving you the flexibility required for modern day living. Consider the role of the stove in your home – some homeowners will purchase a stove to heat a certain room in the house; others may want to supply both their domestic hot water and central heating while some may simply want to create a stunning, focal point! Either way, there are many stoves in various shapes, sizes and fuel types that will not only satisfy your heating needs but are also aesthetically pleasing. Homeowners looking for a stove to heat up a particular area of the house should measure the proposed room first in order to find out the the size of the stove required. As a guide, we suggest that for every 14 cubic metres of space, you will need 1kW (approximately) of heat output in order to a achieve a room temperature of 21 degrees. Gas stoves may be the perfect alternative for homeowners looking for ease and convenience. With their highly realistic coal or log fuel effects, the atmosphere created by modern gas stoves is exceptional. An electric stove can also open up new possibilities in your home: conservatory, kitchen, dining room, bedroom and hallway can all experience the warmth and character of a stove with the extra convenience of just plugging the appliance in! Depending on the requirements of you and your home, we have an extensive range of stoves suitable for you. By visiting one of our showrooms, you can discuss the potential benefits and limitations that a stove can offer. Once you have considered the role of the stove in your home, you may want to consider the style of your appliance to suit the interior decor of your house. Whether you live in a modern city apartment or a traditional country cottage, we have a range of stoves to suit the outlook and the location of your home. Most of our stoves can also be selected in a variety of colour options to suit your home and this website will provide you with the various colour options available on each product page. Many stoves in our range are made from either cast iron or steel materials. The malleability of cast iron allows it to be moulded into a variety of designs to create a wealth of intricate and and elegant details. The heat-diffusing properties of cast iron allow the warmth generated to be radiated slowly into the room for more comfortable and even temperature. Steel stoves appeal to many contemporary homes due to its clean and smooth lines. Many stoves in our range will often combine both steel and cast iron components to offer both superb performance and value for money. 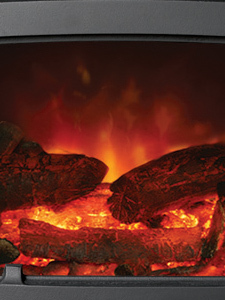 We offer a wide choice of traditional and contemporary wood burning, multi-fuel, gas and electric stoves. Homeowners choose their fuel type for many reasons – some may choose a wood burner due to its carbon neutral benefits whilst other prefer the ease and convenience of a gas or an electric stove. Each fuel type below will be explained in more detail below. With modern technology available, homeowners are no longer limited to certain stove models for their homes. 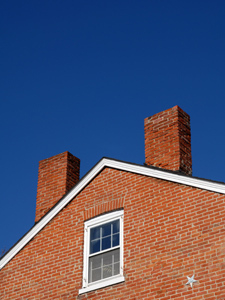 Today, houses without a chimney can also benefit from some of the stoves in our range. Many stoves will be designed specifically as either multi-fuel or wood burning models. A multi-fuel stove means you are able to burn a combination of logs, smokeless fuels or peat/turf briquettes. Multi-fuel stoves also have a riddling grate which allows ash to be collected into a built-in ashpan as these fuels burn best with air entering from beneath the fire and allowing for more efficient combustion. Dedicated wood burning stoves are designed to specifically burn wood only rather than the additional solid fuels detailed above and have a fixed grate and no ashpan. 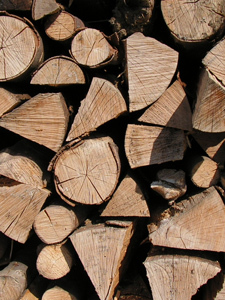 Logs burns best on a flat bed of ash with air for combustion coming from above and are therefore designed to allow you to develop the ash bed. We offer a wide choice of traditional and contemporary wood burning and multi-fuel stove models to suit most rooms and homes. Each product page will provide you with detailed information about each wood burning and multi-fuel stoves. Today, innovative designs such as Stovax Professional XQ™ will allow homeowners without a chimney to include a solid fuel appliance in their properties. This twin-wall pipe system can be installed in variety of properties therefore rooms such as conservatories or family rooms can now benefit from the ambience and focal point created by either a wood burning or multi-fuel stove. Another major development for stove manufacturers is the extensive availability of designs that are suitable for use in Smoke Control Areas. As technology has progressed, manufacturers have created numerous models suitable for this specific area. 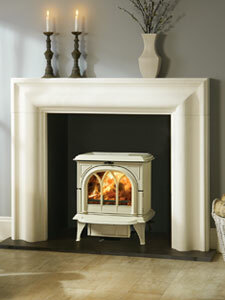 By visiting our showroom, you can view our selection of wood burning and multi-fuel stoves. If a solid fuel stove isn’t suitable for your home or your needs, many gas stoves can provide an aesthetically pleasing alternative or be your preferred method of fuel for a stove. Featuring the same or very similar styling, many of our gas stoves are based on their solid fuel equivalents. Gas stoves offer a combination of convenience and ambient warmth from a switch of a button. Developed by innovative engineers within state of the art research and development labs, gas stoves from Gazco have highly realistic fire effects with either log or coal fuel beds. The convenience a switch allows you to experience the warmth and the beautiful dancing flames instantly. Most gas stoves can also be upgraded to operate via a remote control, including a version that features a thermostat and programmable time periods just like central heating. View our selection of stunning gas stoves, by visiting one of our showrooms. The versatility of an electric stove means that you can install easily and use instantly. The electric stoves from our range are highly efficient and come in a variety of designs from traditional to modern to suit all pockets and locations – without the need of a chimney! Based on their solid fuel equivalents, you can enjoy the aesthetics of the stoves with the convenience of a switch. The beauty of an electric stove is that you can enjoy the flame visual without the heat output – perfect for those warmer evenings!